Sakurao Distillery, like many of the newly found Japanese gin distilleries, was built on the foundations of a well-established Japanese sake brewery, Chugoku Jozo. 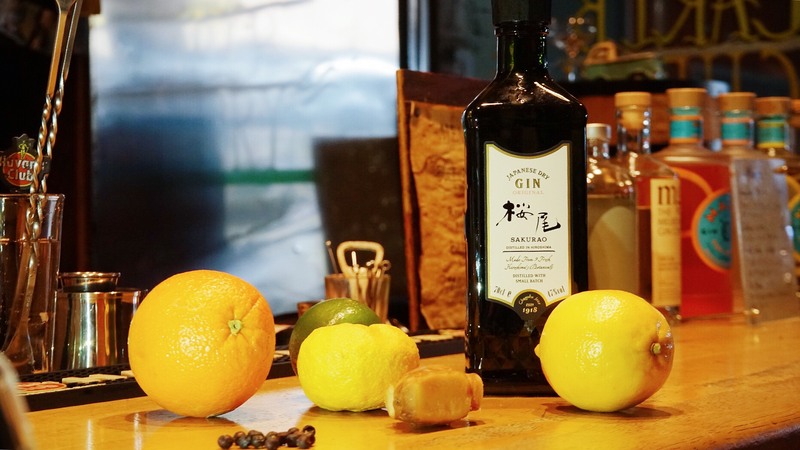 The distillery was established in 2018 on the 100 year anniversary of Chugoku Jozo and at present offers three distinct gin offerings, Sakurao Gin Original (covered in this article), Sakurao Gin Limited (using only Hiroshima botanicals down to the juniper berries) and Sakurao Gin Hamagou (a more herbaceous offering). 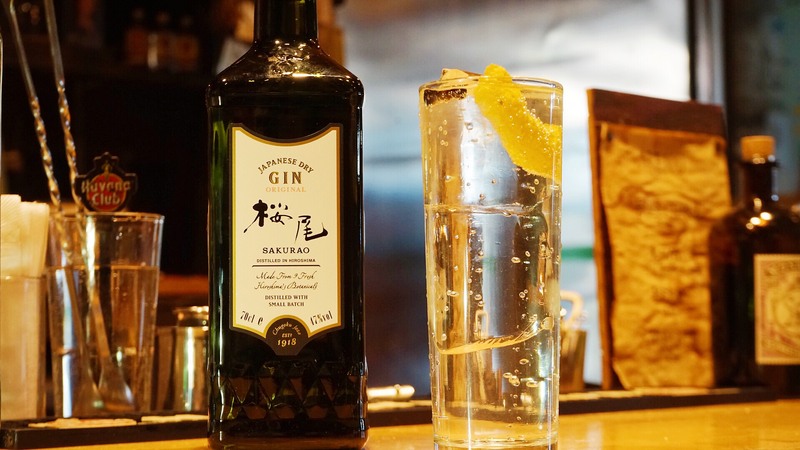 Sakurao Limited in particular has been heralded as the first and only Japanese gin produced domestically using only Japanese local botanicals. They are also currently in the process of producing a new line of Hiroshima single-malt whisky which is due to hit the international market around 2021. Sakurao gin’s philosophy is to create a uniquely Japanese gin which demonstrates the bountiful riches that Japan’s nature has to offer – particularly focusing on utilizing botanicals from the surrounding Hiroshima region (western Japan). They use a German-made, copper hybrid still and simultaneously incorporate steeping and vapour methods to extract as much flavour as possible from each and every botanical. Without any further ado, let’s talk about the botanicals in play in Sakurao’s standard offering – Sakurao Gin Original. 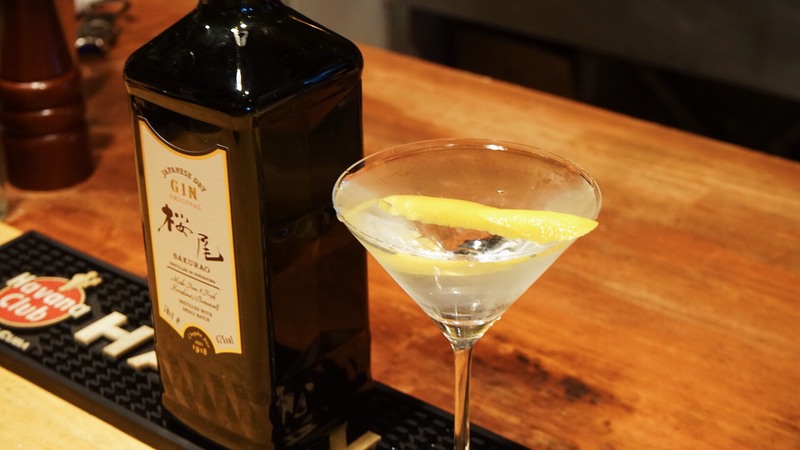 Sakurao Original is a gin which plays on the distillery’s surroundings local strengths; namely their local citrus. Within Japan, Hiroshima is well known for their high quality (not to mention incredibly expensive) green lemons, which Sakurao use in abundance. They also utilize Hiroshima grown navel oranges, sweet summer orange, yuzu, dai dai (local bitter orange), hinoki cypress, green tea, red shiso and ginger. At this point many of you may be thinking, what about the juniper? Alongside the above 9 botanicals, Sakurao Original also uses 5 additional imported botanicals of which juniper berries of course is one and coriander another. The other three are still a mystery at this point in time. The first thing that hits the nostrils is the citrus, particularly the yuzu, lemon and orange sweetness, followed up immediately by that unmistakable aroma of juniper berries. I felt I could catch a tiny glimpse of the green tea, but then again, I may have been trying too hard to force a scent that wasn’t there. Juniper and citrus definitely reigned supreme. For the G&T I opted for a simple 1:3 ratio, gin to tonic with two huge ice cubes, a small strip of yuzu peel and a couple of juniper berries to help bring the junipers presence to the surface. I had expected a huge citrus hit and I was not disappointed. Sakurao Original in the humble G&T certainly allowed all of those beautiful Hiroshima produced citrus to make their presence felt; the lemon, yuzu and dai dai particular so. It was much much sweeter than your standard gin and tonic and the only suspects that potentially came to mind were their use of sweet summer orange and potentially the green tea (although sweet summer orange is quite bitter it does have a distinct sweetness). The ginger helped to give it a little heat towards the finish, but no overkill. The hinoki and shiso were, in my opinion, very much understated to the point of being completely overwhelmed by the citrus flavours. The juniper, similarly, very much took the backseat; those three juniper berries I added sadly had little to no impact. It’s quite hard to judge this on the same standard as a regular London dry as the overall sweetness and lack of juniper backbone threw me off a little. Would be very welcome on a spring or summer evening as the first drink of the night, but definitely not something I could session on. For the Martini offering, I poured with Noilly Prat Dry at a ratio of 4:1 and garnished simply with a long lemon peel. Compared with the G&T I felt the martini helped express the botanicals more evenly and this expression felt like a real martini. The citrus elements that overpowered in the gin and tonic were still very much apparent (yuzu and oranges especially), however junipers presence was much increased and the hinoki, whose presence I had missed previously altogether, helped bring through some woody notes. The coriander and ginger helped to provide some very welcomed heat and the red shiso some slight, but not unrecognisable, herbaceous undernotes. It was very clean and crisp at this ratio and generally went down a treat. Would definitely indulge with one of these every once in a while. Up until this point in time the Japanese craft gin market had been very high-end, with the average gin costing around the \5000 mark ($AUD 60) and the cheapest I’d seen up until this point in time at \2900 ($35). Sakurao Original joins the market at a very welcoming \2000 ($25), something I hope other Japanese craft gin makers in the future will follow suite. For this price tag I think it’s an easy addition to anyone’s alcohol cabinet and definitely a gin that provides a unique and delicious expression of Hiroshima local botanicals. Overall 4/5 stars. Botanicals: Hiroshima Local: Green Lemon, Navel Oranges, Sweet Summer Orange, Yuzu, Dai dai, Hinoki Cypress, Green Tea, Red Shiso, Ginger; Imported: Juniper berries, coriander, + 3 others. Simon Darveniza from Shepparton, Victoria, has worked in the hospitality industry for a combined total of 7 years; working as anything from a waiter, to a kitchen hand, to a craft beer specialist, to a cocktail menu consultant. His hospitality journey has seen him travel around the hospitality industry of Melbourne to Taipei to Japan, where he has settled for the last two years.